At ABC, the network lead its broadcast with the story under its normal breaking news banner. 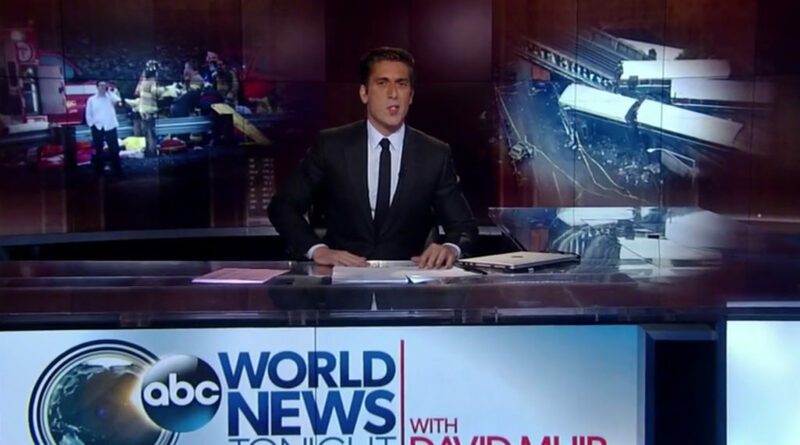 At the top of the broadcast, anchor David Muir was seated at the anchor desk with two faded images from the accident scene behind him. 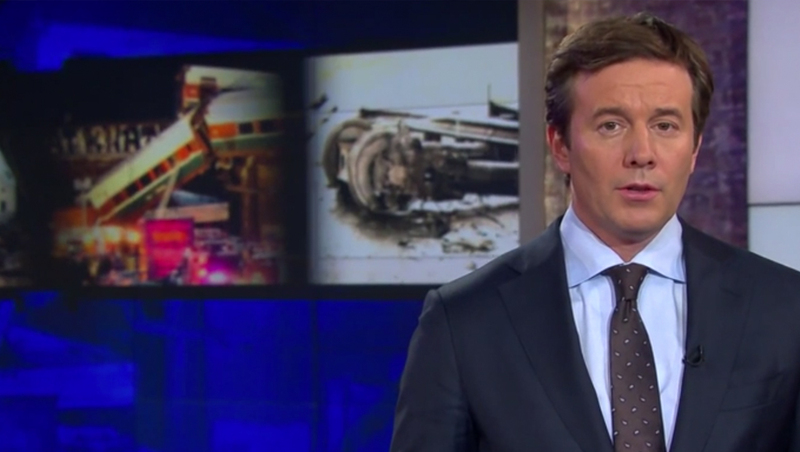 “Word News Tonight” took the train analogy to a bit of an extreme, using an animated series of train windows to display facts and tweets one after another. 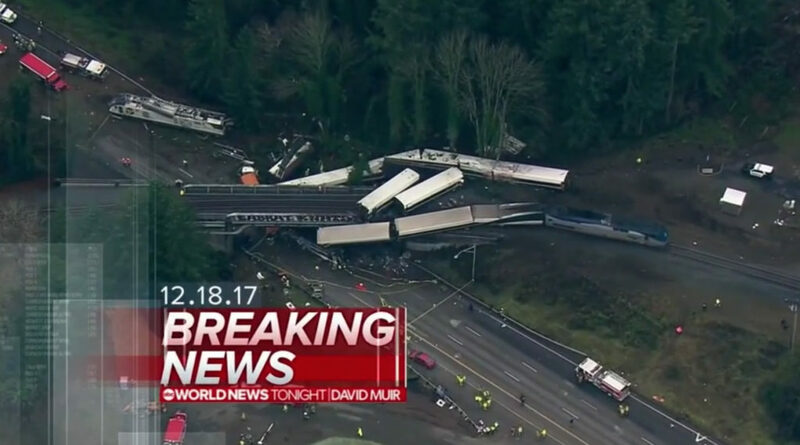 The network also used a Google Earth satellite image with individual, animated train cars overlaid, illustrating how the train cars derailed and the positions they ended up in.